Overview of the appeal proceedings according to the EPC is the title of a new book by Hugo Meinders, Ingo Beckedorf and Gérard Weiss, published by the Dutch Publishers H. Tel, from Haarlem. Actually, it's the same book three times over: if you enjoyed reading Hugo Meinders' bit in English, you can check it out in the more businesslike-sounding German version by Ingo Beckedorf and then slip effortlessly into the romantic lilt of Gérard Weiss's French. What do the publishers have to say about it? The book Overview of the Appeal proceedings according to the EPC is the first concise overview of the procedures before the Boards of Appeal of the EPO written by members of the boards. It is published in English, German and French in a single volume. It is available in paperback form. A discount of 5% will be given on orders for 5 or more copies [not wishing to suggest that this is ungenerous, the book only costs € 55. A 5% discount on five copies is only € 13.75 -- and there's not much you can buy for that these days ... ]. The Overview of the Appeal proceedings according to the EPC is indispensable for patent attorneys and lawyers involved in appeal proceedings before the EPO. It is a reference book both for the practitioner and the trainee.". It's certainly quite an easy read (at least the English text is -- this reviewer isn't competent to weigh up the French and German versions) and it is extremely well equipped with marginal references that enable the reader to discover the source of what the authors say without making the text look fussy. The relative brevity of the text, its clarity of lay-out and the appearance of a handy index all combine to make the reading experience quite a pleasant one. If you're thinking of ordering this book, the ISBN is 978-90-78310-09-9. It's 275 pages in length and not at all bulky. The fold-over flaps in the front and back covers make excellent bookmarks. You can order it from H. Tel's website here. First Austria and now, it seems, Malta. Who's next? "Malta has now passed the ratification process , to be carried out in accordance with article 3 of the Act on Ratification Treaties (Cap 304) Authorizing the Maltese Parliament to ratify the Agreement (Patent Court Industrial unified) Unified Patent Court (UPC) which was signed on 19 February 2013". Has anyone heard more about this event, or as to whether any other country (apart from Austria, which has already ratified) is also in the middle of committing itself? The America Invents Act ("AIA") created several new administrative procedures for members of the public seeking to challenge issued patents. These include Inter Partes Review (“IPR”), Post Grant Review (“PGR”), and the transitional program for Covered Business Method Patents (“CBM”). IPR and CBM proceedings first became available in September 2012. One unknown at the outset of these programs was whether they would prove attractive to parties who previously may have sought reexamination or challenged a patent in court. Although an administrative challenge in the Patent Office may be less costly and time consuming that federal court litigation, a party pursuing administrative review will be estopped from raising additional invalidity issues in subsequent proceedings. In addition, the USPTO’s experience with inter partes reexamination proceedings in the early 2000’s indicated that practitioners and clients initially tend to be cautious about new proceedings. Data released this week by the USPTO’s Patent Trial and Appeal Board ("PTAB") shows a remarkable jump in the number of IPR filings. In the first full year of operation (fiscal year 2013), 514 IPR proceedings were filed with the PTAB. In just the first four months of fiscal year 2014, by contrast, 305 IPRs have been filed. If IPRs are filed at the same rate for the remainder of FY2014, total filings may exceed 900 cases. In addition, the PTAB data shows that a disproportionate share of IPR proceedings are in the computer and electrical field, representing over 70 percent of IPR and CBM proceedings filed. Mechanical patents made up another 16 percent of filings. Based on this data, one has to wonder whether AIA administrative challenges before the PTAB will soon displace federal court litigation (such as the declaratory judgment actions Stefano describes below) as the weapon of choice for taking down a patent, at least in some arts. The full PTAB data, as of January 23, 2014, is posted HERE. How much are drugs worth in the January Sales? How does one calculate the value of a cross-undertaking in damages in relation to launch of a pharmaceutical where the effect is to deprive the defendant of “first-mover” advantage? The decision in Astrazeneca goes a very long way to helping one assess this, and provides a number of comments which may chill those who seek to use injunctions strategically. 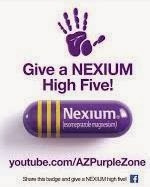 The facts of the case were that Astrazeneca marketed a protein pump inhibitor (PPI) under the name NEXIUM, for which they held a patent for the active ingredient esomeprazole. 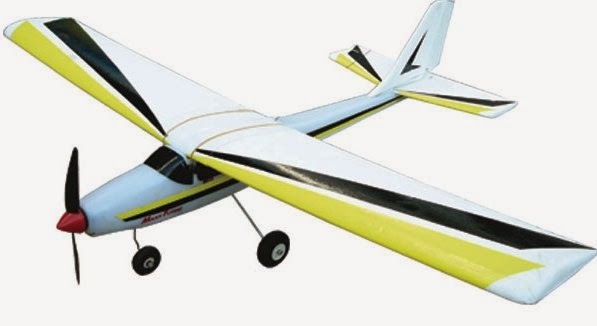 The patent was set to expire in 2014. While most protein pump inhibitors were of moderate cost, a proportion of patients only reacted favourably to NEXIUM’s active ingredient and so could not be switched from other PPIs. KRKA had developed a product which contained esomeprazole which, it believed, did not infringe Astrazeneca’s patent and was to be a branded generic (bearing the name EMOZUL rather than just esomezole). KRKA launched their product in Denmark in the face of objection from Astrazeneca, and then sought to launch in the UK. Astrazeneca successfully obtained an injunction to prevent the launch of the product in the UK in October 2010. At the time the injunction was obtained, Astrazeneca’s patent was under challenge by Ranbaxy who were seeking to launch a generic esomeprazole product. On 15 July 2011 Ranbaxy’s product was ruled not to infringe the Astrazeneca patent – Ranbaxy (UK) Limited v Astrazeneca AB  EWHC 1831 (Pat) [noted by the IPKat here]. The outcome of the decisions was that KRKA’s product would not infringe and the injunction was lifted. This allowed KRKA to launch in September 2011, but into a very different commercial environment. By this point Ranbaxy had launched its generic in early September. In November another generic was launched, this time by Mylan. In December, Teva launched their generic. What's more, on 17 July 2011 (just 2 days after the Ranbaxy decision), Astrazeneca launched a generic with Arrow (a generics company) which was packaged as an equivalent to a branded generic tablet. The entry of all these generics onto the horizon had a significant effect on the launch of KRKA’s product. Mr Justice Sales accepted the evidence of KRKA regarding the state of the market for pharmaceuticals and preferred the explanations of KRKA's witnesses pertaining to the workings of the market for the purchase of pharmaceuticals in the UK and the likelihood of consumers switching from Astrazeneca’s drug to KRKA’s drug if it had launched in 2010. In 2010 there was significant pressure on primary care trusts (PCTs) in the UK to reduce the spending on pharmaceuticals. Briefly explained, the UK National Health Service (NHS) reimburses local pharmacies and dispensing doctors according to a set of tariffs. Drugs which are on patent are reimbursed at the rate agreed with the pharmaceutical company; where there are generics the amount reimbursed is based upon market averages which are re-set as the market changes. A generic manufacturer can increase its market share in the short term by selling to the pharmacist or dispensing doctor below the tariff, since the pharmacist or dispensing doctor keeps the difference and is incentivised to prescribe the lower-priced generic. A generic up against a patented product has relative freedom on price; where there are multiple generics, the price is largely dictated by the other generics. The PCTs employ Medicine Managers whose job it is to watch for cost savings that can be made by switching patients from one drug to another; where there are significant savings to be made, the Managers promote the switch to GPs in order to reduce the overall drugs bill. Sometimes switching can be difficult for medical reasons, while at other times it is straightforward. In the present case there seemed to be no obvious medical reasons not to switch patients. It was accepted that Managers scan the horizon for products and so, where generics were in the pipeline, a switch to a branded generic may not be promoted as a greater saving might be made by awaiting the greater competition ahead and it would be troublesome to switch a second time in short succession. Sales J also accepted that the evidence was clear that KRKA had engaged with groups of Medicine Managers and that a great many had shown an interest in switching once the KRKA product came on the market. KRKA in fact had a number of Medicine Managers as witnesses: these were credible witnesses of fact as to the likely success of KRKA’s product. In 2011 there was a major reorganisation in the NHS system and the judge found that this had a major negative effect on the Medicine Managers, meaning that the likelihood of switching was lower. This reduced the ability of KRKA to have effective entry into the market. Further, the market conditions in 2011 were such that KRKA’s product was far less attractive to Medicine Managers and it was less likely that PCTs would switch to it. KRKA argued, and it was accepted, that if the injunction had not been granted and the other generics had come onto the market almost a year later (after the Ranbaxy decision), the likelihood is that KRKA would have lowered its prices and retained the market share since, while it was more expensive than the other generics, it was not so much greater that the Medicine Managers would have promoted switching from its products to the other generics. Moreover, having switched to KRKA there would have been resistance to switching again. Sales J rejected two lines of argument from Astrazeneca. The first was that the level of switching would have been lower than KRKA claimed, citing evidence of the introduction of generics to the market for an antidepressant. In his view, there were differences due to the tendency to stay with existing antidepressants that were working due to (among other things) the placebo effect amongst patients. The second was an argument that Astrazeneca would have dropped its prices in the UK to compete with KRKA and so less (or no) switching would have occurred. Sales J rejected this on the basis that there was evidence that, in order to drop the cost, Astrazeneca would have needed Europe-wide approval from the business as the UK price is a “reference price” for the price in other countries. There was a clear possibility that Astrazeneca would have decided that there was a benefit in “sacrificing” the UK market to maintain price levels elsewhere and, since Astrazeneca did not adduce evidence in relation to this relevant matter, the judge drew the negative inference that they would not have dropped their prices. As a result, Sales J concluded that a substantial percentage of the PCTs and dispensing doctors would have switched, accepting the switching figures given by KRKA subject to a drag factor of 20% for exaggeration by Medicine Managers in how successful they would have been in promoting the switching, and with a simple cut-off to the damages in 2015. Since the number of prescriptions made is published, the judge held that the calculation can be easily assessed (and will be subject to agreement by the parties). · One should not be overeager in scrutiny of evidence of loss or overcritical of the methodology as the patent owner will have had to argue that [KRKA’s] losses were easy to calculate whilst their own were not in order to obtain the injunction; and that the concept of “liberal assessment” is carried over from the context of calculating damages for patent infringement, ie. the claimant has the burden of proving loss, but (subject to the proviso that damages should compensate not punish) the damages should be liberally assessed. In the present case, one wonders whether restitutionary damages might have been allowed. Astrazeneca’s behaviour seems to suggest that it had knowledge of the weakness of its patent (ie. launching the generic two days after the finding in the Ranbaxy case) and the subsequent drop in the price of their NEXIUM product may well have led them to retain much of the business which otherwise might have switched. Pre-empting a decision to switch to a generic after the Ranbaxy decision, Astrazeneca seemed to have established first mover advantage by launching with Arrow two days after the decision and so will have obtained/retained a proportion of the generic market. I also wonder whether as a strategy it may have urged Medicine Managers to consider switching to the Arrow product immediately following the Ranbaxy decision - if they chose to switch then they would switch to Arrow and were then unlikely to switch to Teva or the other generics which subsequently launched, and if they decided not to then they would stay with NEXIUM. If they immediately dropped the price of NEXIUM to make the differential less then this might have decided the matter immediately for Medicine Managers. Thanks so much, Aaron, for your note -- and for your comments. On Wednesday, the US Supreme Court published its decision in the case of Medtronic Inc. v Mirowski Family Ventures LLC, ruling that, when a licensee brings an action for declaratory judgment of non-infringement of a licensed patent, the patentee bears the burden of persuasion on the issue of infringement. The Supreme Court unanimously reversed the judgment of the Federal Circuit, as suggested by the briefs submitted by the Solicitor General (here), and by a number of law professors (here). In 1991, Medtronic and Mirowski concluded a licensing agreement, which allowed the former to implement, in its products, patented technologies held by the latter, in exchange for royalty payments (the facts of the case are described in detail here). A supplementary agreement (Litigation Tolling Agreement), signed in 2006, established that, if Mirowski believed that one of the products manufactured by Medtronic infringed one of its patents, the licensee could either (i) pay the additional royalties due, or (ii) seek a declaratory judgment of non-infringement, continuing to pay royalties into an escrow account (upon conclusion of the declaratory judgment action, these royalties were to be assigned to the prevailing party). These provisions essentially prevented the licensor from filing a counterclaim for infringement, as, even in case of alleged infringement, the agreement would remain in force. The contract at issue here required MFV to identify products it believed were covered by the contract. After MFV identified those products, Medtronic was required to either pay royalties on them, or sue for declaratory judgment that the products were not covered. Medtronic is unquestionably the party now requesting relief from the court: it already has a license; it cannot be sued for infringement; it is paying money into escrow; and it wants to stop. In contrast [...] MFV seeks nothing more than to be discharged from the suit and be permitted to continue the quiet enjoyment of its contract. In other words, it is Medtronic and not MFV that is asking the court to disturb the status quo ante and to relieve it from a royalty obligation it believes it does not bear. Consistent with the above, for the court to disturb the status quo ante, Medtronic must present evidence showing that it is entitled to such relief. The Supreme Court reversed the Federal Circuit's decision (for a discussion of the first part of the court's decision, which dealt with issues of jurisdiction, see here). The court observed that, according to settled case law, the Declaratory Judgment Act has merely limited procedural purpose (Skelly Oil Co. v. Phillips Petroleum Co.), and leaves substantive rights unchanged (Beacon Theatres Inc. v Westover). Therefore, as the burden of proof is a substantive aspect of a claim (Raleigh v Illionois Department of Revenue), the Declaratory Judgment Act cannot alter the general rule valid in patent infringement actions, under which the burden of proving infringement rests upon the patentee (Under Sea Industries Inc. v Dacor Corp.). Suppose the evidence is inconclusive, and an alleged infringer loses his declaratory judgment action because he failed to prove noninfringement. The alleged infringer, or others, might continue to engage in the same allegedly infringing behavior, leaving it to the patentee to bring an infringement action. If the burden shifts, the patentee might lose that action because, the evidence being inconclusive, he failed to prove infringement. So, both sides might lose as to infringement, leaving the infringement question undecided, creating uncertainty among the parties and others who seek to know just what products and processes they are free to use. In [MedImmune], we wrote that the "very purpose" of that Act is to "ameliorate" the "dilemma" posed by "putting" one who challenges a patent’s scope "to the choice between abandoning his rights or risking" suit. [...]. In the absence of the declaratory judgment procedure, Medtronic would face the precise dilemma that MedImmune describes. Either Medtronic would have to abandon its right to challenge the scope of Mirowski’s patents, or it would have to stop paying royalties, risk losing an ordinary patent infringement lawsuit, and thereby risk liability for treble damages and attorney’s fees as well as injunctive relief. [...] As in MedImmune, the declaratory judgment action rescues Medtronic from this dilemma. These reasons were deemed sufficient to justify an exception to the basic rule described in Schaffer v Weast, where the court had ruled that plaintiffs normally bear 'the risk of failing to prove their claims'. The judges also explained that the public interest favors the maintenance of a well-functioning patent system, but requires, at the same time, that 'patent monopolies [be] kept within their legitimate scope' (Precision Instrument Manufacturing Co. v Automotive Maintenance Machinery Co.). The latter objective would be hindered, if the rules on the burden of proof effectively discouraged licensees from filing declaratory judgment actions. Thus, '[t]he general public interest considerations are, at most, in balance', and suggest retaining the general rule imposing the burden of proving infringement upon the patentee. In reversing the Federal Circuit's decision, the Supreme Court rightfully took into consideration a series of theoretical (e.g. the nature of the declaratory judgment action and its objectives) and practical issues (e.g. the difficulty, for the licensee, to prove non-infringement under any conceivable infringement theory, and the risk of an unresolved dispute in case of relitigation), which undoubtedly support its conclusion. The court did not discuss other controversial aspects of the case, for example the risk of an abusive use of non-infringement declaratory judgment actions by licensees (the judges merely commented that 'litigation can occur only in the presence of a genuine dispute, "of sufficient immediacy and reality", about the patent's validity or its application'), or the possibility, for the patentee, to bring a counterclaim seeking a declaratory judgment of future infringement under T. Lang et al. v Pacific Marine and Supply Co. (in which the Federal Circuit taught that '[i]f the controversy requirement is met by a sufficient allegation of immediacy and reality, we see no reason why a patentee should be unable to seek a declaratory judgment of infringement against a future infringer when a future infringer is able to maintain a declaratory judgment action for noninfringement under the same circumstances'). 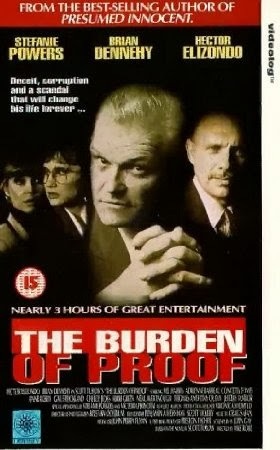 It is interesting to note, as observed by Professor Cotter here, that the path taken by the Supreme Court mirrors the approach employed by German courts ('the patentee always has the burden of proof with regard to the infringement issue, even in negative declaratory actions' - for a similar principle applied by Italian courts, see this case), but differs from the ruling of the Court of Appeal for England and Wales in the recent case of Generics [UK] Ltd v Yeda Research and Development Co Ltd & Anor ('the burden of establishing non-infringement fell on [the plaintiff that brought the declaratory judgment action'). The latter case, however, should probably be read in conjunction with Baxter Healthcare Corporation et al. v Abbott Laboratories, where the patentee was required to plead its case, even if the burden of proof remained on the plaintiff (see IPKat post here). From this point of view, even jurisdictions which provide for a shifting of the burden of proof are likely to introduce additional requirements, in order to identify the perimeter of the underlying infringement dispute that prompted the licensee to file the declaratory judgment action. Post-trial procedure and the active involvement of judges in settlement discussions. If you'd like to register, or even if you'd just like to browse through the names of those who have already registered, just click here. 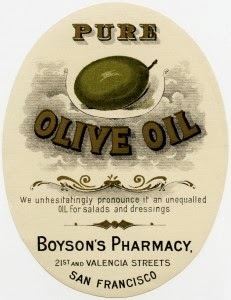 Ever since studies suggested that the lower incidence of heart disease associated with the Mediterranean diet could be linked to the consumption of olive oil (for an overview of the health effects of other fats, see here), researchers have focused on the phenolic compounds contained in olives, which include oleuropein, tyrosol and hydroxytyrosol. 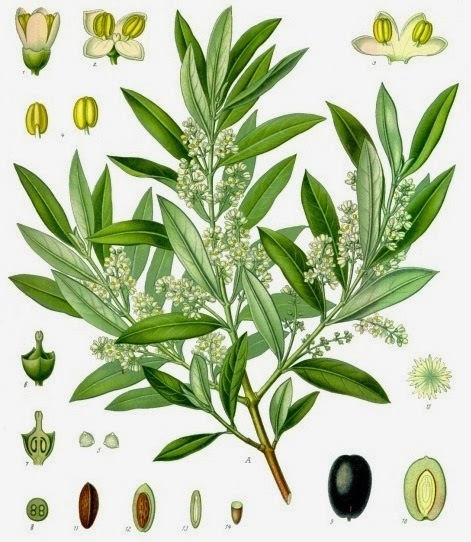 Among the companies that first sought to commercialize olive extracts containing phenolic compounds, CreAgri was quick to seek patent protection, filing two patent applications in the US, in 2001 and 2003, subsequently granted as US Patents No. 6,416,808 and 8,216,599. In 2011, CreAgri filed a lawsuit against Pinnaclife, a competitor selling olive-derived supplements, alleging infringement of both the '808 and '599 patent. The defendant sought declaratory judgments of non-infringement and invalidity of the asserted patents. In a judgment rendered on 18 December 2013, the District Court for the Northern District of California found both patents to be invalid. The decision examines several interesting issues (ranging from claim interpretation, overlaps between reexamination proceedings and litigation, prophetic claims, written description requirement, etc. ), and deserves an in-depth look. 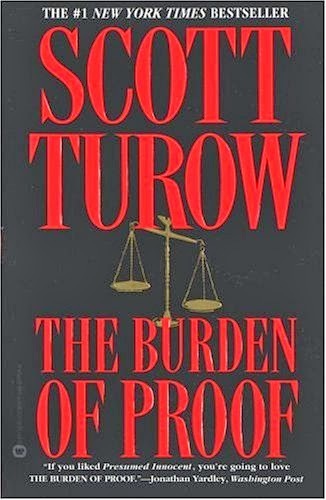 Before reviewing it, let me add that a great write-up of the case by Virginia Brown Keyder provided inspiration for this post. Virginia also wrote a nice article on olive oil legislation in the US and EU here. The court first turned its attention to the '808 patent, which essentially claims dietary supplements comprising an aqueous extract of olives containing hydroxytyrosol and oleuropein, or hydroxytyrosol and tyrosol, at certain weight ratios. The defendant alleged, inter alia, invalidity due to anticipation, under 35 USC § 102, in light of two prior art references, the US Patent No. 6,358,542 ('Cuomo') and an article ('Romani') that disclosed the polyphenolic content of five different cultivars of olive fruits from Tuscany. Pinnaclife also observed that the US Patent and Trademark Office, in a recent ex parte reexamination, had rejected all the claims of the '808 patent, as anticipated by Cuomo and Romani, or obvious in light of these references. The court, however, refused to take into account the findings of the USPTO, noting that (i) while a patent is presumed valid in litigation, ex 35 USC § 282, there is no such presumption in reexamination actions, to the effect that '[t]he difference in standard of proof significantly reduces the relevance of the PTO's conclusions', and (ii) the PTO's decision was still potentially subject to substantial review before the Patent Trial and Appeal Board and the Federal Circuit. 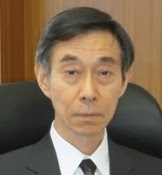 Judge Koh highlighted that the plaintiff had not disputed that the references disclosed the weight-ratio changes indicated in the asserted patent. Thus, the only issue concerned the disclosure, in prior art, of an 'aqueous extract of olive'. The claim construction order, previously issued by the court, had defined the aqueous extract as 'an aqueous solution containing a water-soluble preparation from an olive plant', with no restriction on the process by which the solution is obtained. In this perspective, the judge noted that CreAgri's late attempt to restrict the notion of 'aqueous extract' to pure water contrasted with the arguments raised during claim construction, and failed on the merits, as the specification of the '808 patent clearly refer to an 'aqueous or aqueous-alcoholic extract', when describing the invention 'as a whole'. The court held that 'the specification's use of the disjunctive is ambiguous at best', and is insufficient to exclude aqueous-alcoholic extracts from the scope of the invention. A different conclusion, added the court, would improperly import a purported limitation from the specification into the claims. Analysing the references, the judge held that the 'aqueous extract' was clearly disclosed by Cuomo's Examples 4 and 11, which jointly described a method for obtaining an aqueous methanol solution, in which a composition, obtained from olive pulp, is dissolved. The same conclusion was reached with regard to the Romani reference, which disclosed the use of an 'aqueous extract', as an intermediate step of the extraction process. Thus, the court found all the claims of the '808 patent to be invalid due to anticipation. The second part of Judge Koh's decision examined the validity of the '599 patent, which claims methods of treating a number of inflammatory conditions, through the use of various forms of hydroxytyrosol, solely or in conjunction with oleuropein. Pinnaclife maintained that the specification of the contested patent did not provide any relevant data to support the anti-inflammatory effects of the olive-derived preparations, thus failing to meet the requirements of written description, enablement, and utility. (Q) You anticipate that this would work? (Q) But you don’t actually have the data yet showing that it would work? Commenting these words, Judge Koh pointed again to Ariad, observing that 'the prophetic approach to patenting is not proper absent some indication that the named inventor has [...] performed the difficult work of invention', as a mere wish or plan is insufficient to meet the written description requirement. Similarly, while substantial prophetic examples can be sufficient to that aim, under Ariad, 'mere mentions of a desired outcome' are not. Evaluating the studies cited in the specification, the court found that they failed to provide any statistically significant results, realized or predicted, capable of supporting the claims of the '599 patent. CreAgri argued that the anti-inflammatory properties of olive phenols were already known by others skilled in the art, pointing to an inherent disclosure, but the court dismissed this argument. Judge Koh noted that the written description requirement can only be satisfied by an inherent disclosure if 'the missing descriptive matter [is] present in the application's specification such that one skilled in the art would recognize such a disclosure' (PowerOasis v T-Mobile USA). Examining the specification of the contested patent, she concluded that the disclosure of a number of biomarkers, employed to determine whether the treatment has a therapeutic effect, is insufficient to create an inherent disclosure of the full scope of the invention: 'the ’599 Patent inherently discloses how to measure whether the treatment works as claimed, not that the treatment does work as claimed'. Further, none of the prior art references cited in the specification demonstrated the efficacy of the claimed olive-derived phenols for treating the inflammatory conditions described in the patent. Accordingly, the judge found all the claims of the '599 patent to be invalid for failure to meet the written description requirement of 35 USC § 112. [T]he Court cannot consider CreAgri’s post-filing test results as evidence of the utility of the claimed methods of treating inflammation. "Enablement is determined as of the effective filing date of the patent's application." [In re ’318 Patent Infringement Litigation]. Where results "were not available at the time of the application," they cannot be used to establish utility or enablement. [Id.]. The Federal Circuit has created a narrow exception to the rule that post-filing data cannot support utility. In In re Brana, the Federal Circuit allowed such evidence "to substantiate any doubts as to the asserted utility" where those test results "pertain [...] to the accuracy of a statement already in the specification." [Id.]. Read too broadly, however, the Brana exception would swallow the rule that "[e]nablement, or utility, is determined as of the application filing date." [Id.]. Where actual results, garnered post-filing, mirror or otherwise substantiate predicted results, it is plain that those results will pertain to the accuracy of a statement in the specification within the meaning of Brana. Here, however, the ’599 Patent makes no assertions whatsoever regarding the outcomes of the proposed studies [...], so the study designs provided in the specification are not sufficiently prophetic such that later-achieved results can support the utility of the claimed invention. Finally, the court evaluated the existence of any data or reasoning capable of supporting the inventor's claims on the therapeutic efficacy of the olive-derived phenols, looking for a 'reasonable correlation' between the activity in question and the asserted utility. Judge Koh noted that, when 'the inventor did not know at the time of filing whether the invention was in fact operable and instead rests the invention’s asserted operability on [...] prophe[cy]', analytic reasoning may come to aid, but only if it is sufficient to demonstrate how and why the invention is expected to work. However, she could not identify, in the specification of the '599 patent, any valid argument or analytic reasoning establishing utility. Observing that the patent merely claims a research hypothesis, the court confirmed its invalidity, for failure to satisfy the enablement and utility requirements. In its recent judgment in the lie-flat aircraft seats case Virgin Atlantic Airways v Zodiac  EWCA Civ 1713, the Court of Appeal considered an issue that had never been considered before in the UK: does the European Convention of Human Rights provide a back door through which a third party can challenge a decision of the EPO to grant a patent? In this blogpost we highlight a few of the most interesting points for patent litigators in European Patent Convention ("EPC") states, not all of which will be evident from the judgment. 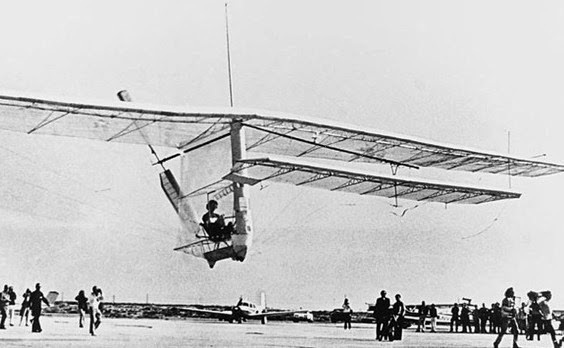 One of the greats of the patent world, Sir Robin Jacob, set this particular plane flying, when he observed in a 2009 hearing between the parties that it might be possible to argue that the patentee's alleged failure to designate the UK in its application for a European Patent rendered the EPO's decision to grant the UK designation a nullity (and hence rendered the UK's recognition of the patent also a nullity). The provisions of the Patent Act 1977 (in particular ss 77(1), 130(1) & 60(1), which together require an EP patent to designate the UK and be in force in the UK in order to be enforceable) did not justify an enquiry into the validity of the designation. This interpretation was supported by the limited grounds on which the validity of a patent can be challenged post grant (Articles 100 & 138 EPC, s 72 Patents Act). This meant the court did not have to decide if the UK designation had in fact been withdrawn and, if it had, whether the EPO was entitled to proceed as it did, given that the patentee had relied on the EPO's representations that the patentee was entitled to a UK designation, and shaped its patent strategy accordingly. On appeal, the emphasis switched to the impact of the ECHR. The argument was that the UK courts were obliged to give effect to the defendants' Article 6 rights (right to a fair trial) by construing the Patents Act to allow a challenge on the grounds that the EPO's decision was a nullity. The mere (legitimate) surrender of powers to grant patents to the EPO and automatic recognition of the EPO's decisions under s77 Patents Act was not enough to create a jurisdictional link. There had been a fair hearing of the question of whether the matter was justiciable. Patentees can now be confident that, once a patent is granted by the EPO, the English courts will not challenge the EPO's decision on the grounds of procedural error. This could potentially have had the draconian effect of a patentee losing a valuable patent when, if the error had been noticed at the time, the error might have been corrected (as it could have been in this case by filing another patent application to cover the UK). As well as being a victory for legal certainty, in our view the decision makes good sense. Third parties are not misled by the procedural error as on the face of the EPO's records the patent has been granted, it is only through a more thorough trawl that a procedural error can be discovered. In any administrative procedure, a line has to be drawn between what decisions can be challenged and what cannot. There is no clear objective basis on which to distinguish between the severity of the error, so trivial errors could have a disproportionately large effect. Further, the courts and patent offices of every EPC state that was a signatory of the ECHR would potentially have had to determine whether the EPO's decisions were made on the correct legal basis. States could justifiably come to different views on this, undermining the EPC's purpose of establishing a common system for the grant of patents. As far as we are aware, this is first time this specific issue has been considered in any EPC country, but we suspects other EPC/ECHR states would adopt the same approach. However, if we are wrong, we would be delighted to know. (4) Representatives of the parties may be assisted by patent attorneys, who shall be allowed to speak at hearings of the Court in accordance with the Rules of Procedure. (5) Representatives of the parties shall enjoy the rights and immunities necessary for the independent exercise of their duties, including the privilege from disclosure in proceedings before the Court in respect of communications between a representative and the party or any other person, under the conditions laid down in the Rules of Procedure, unless such privilege is expressly waived by the party concerned. CIPA and the Intellectual Property Office (IPO) are hosting an open meeting on rights of representation before the Unified Patent Court. Mr Justice Birss will be on hand to hear your specific views on the proposed right to represent in front of the Unified Patent Court. Mr Justice Birss is the UK's representative on the Advisory Panel on the list of European patent attorneys eligible to represent before the UPC. Ahead of this work formally starting (within the HR & Judicial Training Working Group of Preparatory Committee), we would like to hear your interpretations of Article 48 of the UPC Agreement and your views, issues, and concerns so that we can have as full a picture as possible. Attendance is free. For further details, click here. The EU Commission publishes the 4th Monitoring Report on Patent Settlements in the pharmaceutical sector: all is going well! On 9 December 2013, the EU Commission published its 4th Report on the Monitoring of Patent Settlements in the pharmaceutical sector. 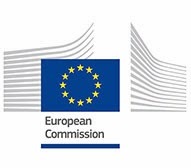 The Commission started its monitoring activity in 2009, following the Pharmaceutical Sector Inquiry, launched in 2008 to investigate reported delays in generic entry and the perceived decline in new drugs marketed in the EU. The sector inquiry highlighted, inter alia, the potential anti-competitive effects of agreements concluded between an originator company and a generic manufacturer, under which the latter agrees to delay generic entry, in exchange for a value transfer from the originator company. Such pay-for-delay agreements are particularly frequent in the context of patent infringement actions filed by the originator company, or of invalidity challenges brought by the generic manufacturer against the patents protecting a brand drug, and are therefore also known as reverse payment settlements. The provision of direct or indirect financial inducement to delay generic entry has attracted antitrust scrutiny, as the value transfer is seen as evidence of a strategic choice made by the originator company to avoid challenges to weak or probabilistic patents, in order to postpone the loss of exclusivity that would result from a judgment of invalidity. Recent developments in this field include the US Supreme Court's judgment in FTC v Actavis, and the decisions of the EU Commission in the cases of Lundbeck and Johnson & Johnson. The sector inquiry found that pay-for-delay agreements accounted for 22% of all the patent settlements concluded between 2000 and June 2008. 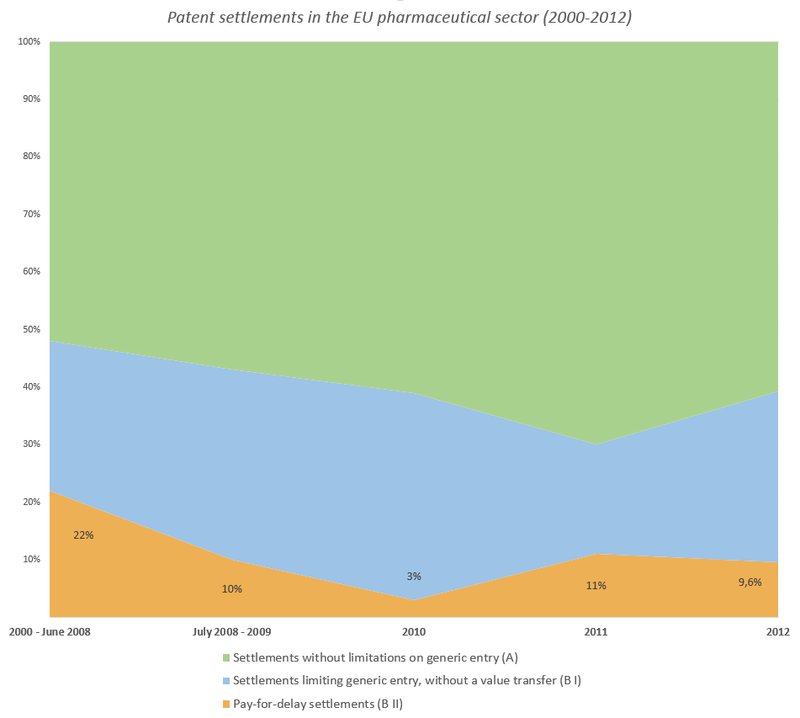 Although agreements that did not restrict generic entry (52%), or that imposed restrictions without providing a value transfer (26%), were much more common than pay-for-delay agreements, the Commission decided to closely monitor patent settlements, "in particular where the motive of the agreement is the sharing of profits via payments from originator to generic companies to the detriment of patients and public health budgets". The monitoring activity, as well as the willingness shown by the Commission to take action against anti-competitive settlements, resulted in an immediate decline in the number of reverse payment settlements. According to the survey conducted in the 1st monitoring Report, pay-for-delay agreements fell to 10% in the year following the sector inquiry. The 3rd Report confirmed this finding (the 2nd Report highlighted a further decline of pay-for-delay agreements to 3% of all patent settlements in 2010, but such reduction was not confirmed in subsequent surveys). The 4th Report shows that the number of pay-for-delay settlements concluded each year, after the sector inquiry, has stabilized (with the exception of 2010) at an average 10% of all the patent settlements concluded in the EU pharmaceutical sector (this number excludes settlements concluded in Portugal, where a new law caused a significant increase in patent settlements in 2012). At the same time, the new survey certifies a change in the type of value transfer provided by originator companies. The sector inquiry found that pay-for-delay agreements provided generic companies with patent licenses in 64% of the cases, direct payments in 51% of the cases, and supply and/or distribution agreements in 20% of the cases. According to the 4th Report, instead, most of the agreements concluded in 2012 contained a non-assert clause permitting early entry (83%), coupled with a license to the generic company (33%), or with a license and a supply agreement (8%), while a monetary payment was present only in 17% of the cases. The sector inquiry determined a significant and long-lasting decline of pay-for-delay agreements, without affecting the parties' right to conclude other kinds of settlements. The Commission notes that "93% of the settlements fall into categories that prima facie raise no need for competition law scrutiny", a figure that shows how "[c]ompanies, in most cases, are able to solve their disputes in a manner that is typically considered unproblematic from a competition law perspective". A question, however, remains unanswered: why has the number of pay-for-delay agreements stabilized at 10%, rather than falling further? Although the Commission's reports do not address this question, the answer may be hidden in the change of value transfer offered by originator companies. Essentially, even if their number is not decreasing, the pay-for-delay agreements concluded after the sector inquiry are less likely to raise significant anti-competitive issues, as the use of monetary payments to avoid generic entry before patent expiry has generally been substituted by non-assert clauses which permit early entry. Such arrangements may still allow originator companies to postpone loss of exclusivity where a patent is at risk of being declared invalid, but significantly reduce the impact of pay-for-delay agreements on generic entry.